The International Maple Syrup Institute Maple Grading School is for maple producers, bulk syrup buyers, state inspectors, and others needing to accurately grade maple syrup or judge maple product entries at fairs and contests. Quality control issues are also addressed. This school provides a strong scientific base combined with intensive hands-on exercises. 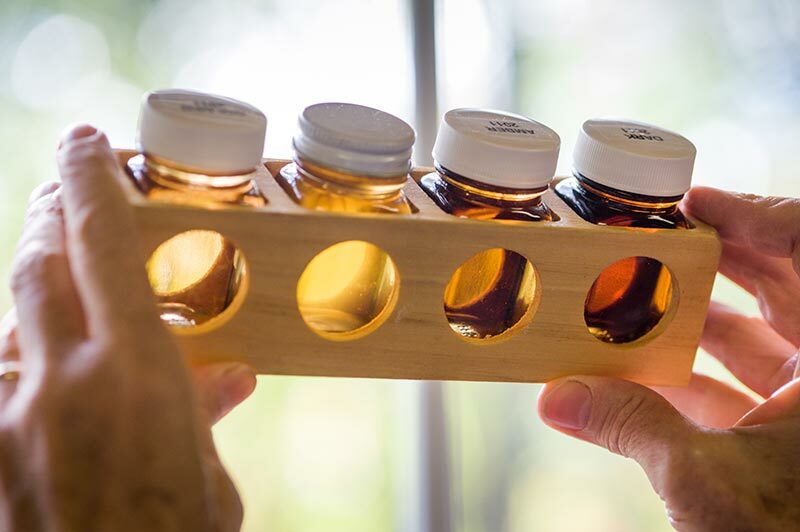 This approach enables participants to learn how to grade or judge maple products with confidence. Over 200 participants have attended the International Maple Syrup Institute Maple Grading School since 2004. They increased their knowledge about grading maple syrup and saved money by increasing their profits, increasing their sales, or reducing their costs. 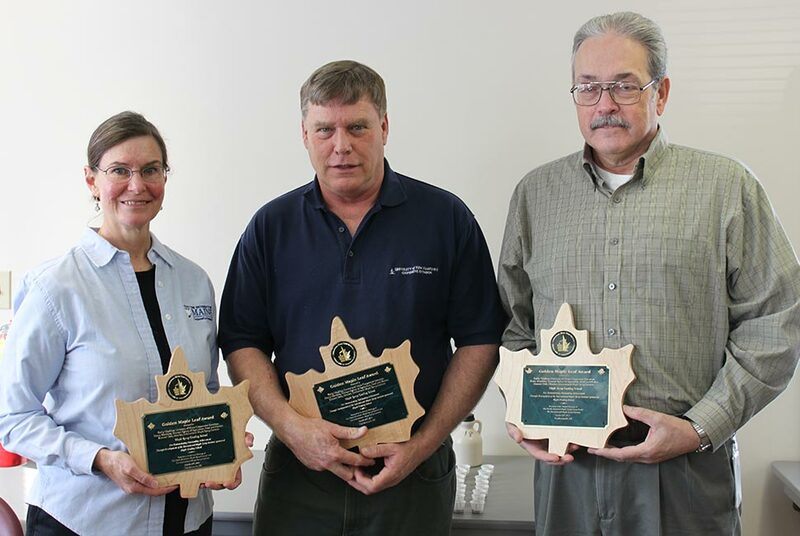 The International Maple Syrup Institute Golden Maple Leaf Award recognizes outstanding contributions which have helped advance the North American Maple Syrup Industry in at least one of the following areas: research, education/technology transfer, equipment innovation, or product marketing. Excellent explanations, exercises and interaction. Far better than reading available material only. I do not want my name associated with bad syrup. This is an excellent class! Should be a requirement! For me, I will be able to understand and discuss more intelligently with all the producers, anything concerning their individual syrup deliveries. Thank you for this class it has been very helpful and informative. I would definitely take the class again and would have others that help me with my operation also come and highly recommend to others that are in the business.